Sliding doors are common for closets. Or for barns. They are much less common for garages. 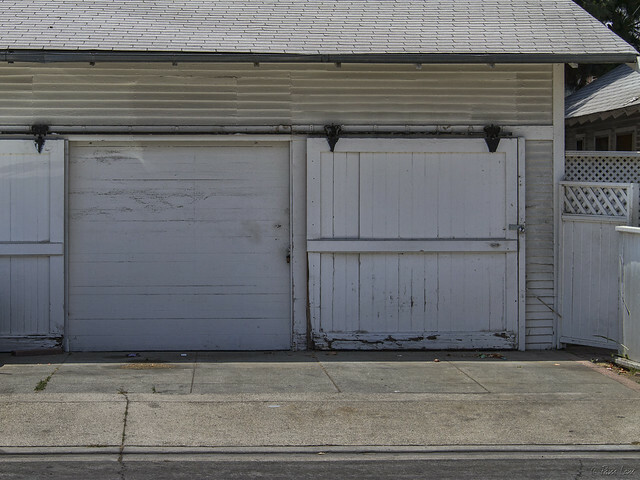 These three doors on a 1920s-era Downey garage remind me of the old game show "Let's Make a Deal."